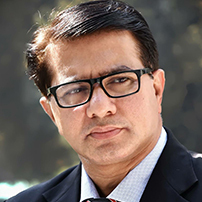 Senior Entrepreneurial Leader with 25 + years of rich experience in Multiple services industry & multi tasking (Media, IT, financial products , FMCG,) Worked in India and International market .Responsible for the overall strategy and P&L of the company. Strong national &global networking . By profession BE(Electrical)with MBA (Marketing). # sahil Emirates UAE ???????? # Lead a good business with the focus on People, Process, Products and Profitability. Creating the Intangible assets linked to the Tangible asset creation is the prime focus. # Strong strategic, analytical and interpersonal skills with ability to define vision, strategy and roadmap. * Passion for creating a culture where people enjoy what they do. # Involved in many CSR activists for upliftment of poor minority class . # Initiated big tickets deals in all sectors, Go-getter, with many rewards and awards, believes & practice Out of box thinking . #On advisory Board of National & International firms.